In this contribution a general framework for the construction of polyconvex anisotropic strain energy functions, which a priori satisfy the condition of a stress-free reference configuration, is given. In order to show the applicability of polyconvex functions, two application fields are discussed. 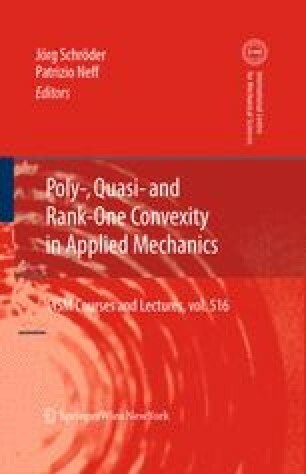 First, a comparative analysis of several polyconvex functions is provided, where the models are adjusted to experiments of soft biological tissues from arterial walls. Second, thin-shell simulations, where polyconvex material models are used, show a strong influence of anisotropy when comparing isotropic shells with anisotropic ones.